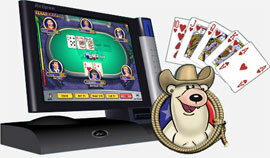 Texas Hold 'Em, Texas Showdown and all of your favorites! JVLs newest star, the Eclipse, is the future of touchscreen countertops. Designed using cutting-edge technology, the Eclipse features a large capacity Flash Memory Card; there is no CD ROM, no hard drive and no moving parts - all games run from Flash. The Eclipse includes a 15 LCD flat screen monitor to deliver stunning graphics to enhance the play experience. Steel-frame construction ensures a sturdy machine and the swivel base, ergonomically designed, guarantees player comfort. The open-concept inner assembly is easy to access, allowing for simple maintenance, upgrades, and repairs. More than 80 Games In 7 Categories! 12 Great new games plus 4 new iTouch games, new questions, new pictures, revamped games! We offer a wide variety of new and pre-owned countertop games. If you are looking for a specific make or model please contact us and we'll be glad to assist you.